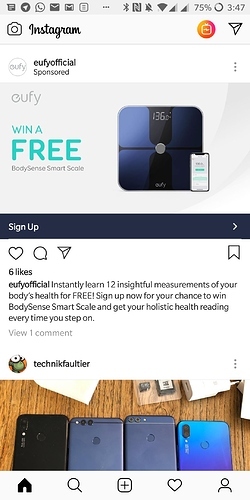 One was for a charger and now there is a give away for eufy smart scale. Is this a new campaign form you @AnkerOfficial to win new costumers or is it just scam from someone? Did anyone else get these advertisements? Sad for you. It is just for the US and I didn't get a link to share. I don't have or want Instagram, I have Facebook n Twitter n linkden, that's more than enough social crap without more unnecessary stuff n notifications. I never saw it either. Then again I almost never see the instagram ones until its to late. I already have the scale and love it. I didn’t get it either. I think those ads pop up based on thing you searched. 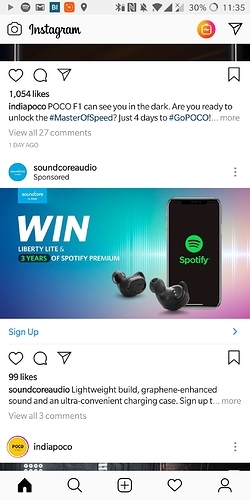 I saw the Flare giveaway, but that was a public post, not a targeted ad. I thing these are amazing prices. That's an oddly phrased thread title. One could read that Anker owns Instagram and is giving it away. In which case, I want in! Have you dropped POWER USERS in UK in favour for globally going via Instagram, for USA only prizes? Ask Rosa, if she has gotten my emails, as not heard anything since sending email over a week ago.